Following the outcome of the historic ‘Brexit’ referendum on 23rd June 2016 in which a majority of eligible voters in the UK voted to ‘Leave’ the European Union and the passage by the House of Commons on 8th Feb 2017 of the EU (Notification of Withdrawal) Bill giving prime minister Theresa May the authority to trigger Article 50 of the Treaty of Lisbon, the United Kingdom is potentially on course to leave the European Union. It remains to be seen whether peers in the House of Lords will secure an amendment to the Bill requiring Parliament to be given a meaningful vote on the outcome of the negotiations, and it is further contended that an additional Act of Parliament will be required (for a discussion of the merits of these arguments see blogs by Paul Daly and Mark Elliot). This blog post considers aspects of the Government’s White Paper with a particular focus on the potential implications for the financial services, digital technology, and Fintech sectors of the UK economy, and sets out factors that must be borne in mind if the Government is to avoid implementing an economically ruinous Brexit strategy. The UK will undoubtedly want to maintain a trading relationship with the European Union upon exit as the European Union is the world’s largest trading bloc and the world’s largest trader of manufactured goods and services – in 2015, the UK exported £223 billion of goods and services to other EU member states, compared to £95.1 billion to the US and £15.9 billion to China (ONS, UK Economic Accounts, Quarter 4 2015, Table B6B). Indeed, the service industries account for approximately 78% of the UK’s Gross Domestic Product (GDP)(ONS, Statistical bulletin: Index of Services: Apr 2016), and within the services sector, financial services are key – accounting for circa 8% of the UK’s economic output and approximately 3.5% of employment, said Mark Carney, Governor of the Bank of England in his speech. Relatedly, half of the world’s largest financial firms have their European headquarters in the UK and more foreign banks operate in the UK than any other country. The financial services sector is supported by ‘Fintech’ industries, that is, companies that use technology to disrupt or make financial services more efficient. The Fintech industries are a subsector of digital technology businesses which represent a further 10% of the UK’s services sector, the highest percentage of any G20 member; and employs 1.56million people. Digital technology businesses are defined as business that provides a digital technical service/product/platform/hardware, or heavily relies on it, as its primary revenue source. The sector had a turnover of £161bn in 2014 and is continuing to grow, with more than a third of European ‘unicorns,’ that is, privately owned ‘start-up’ technology firms worth over $1bn (including Asos, Zoopla, and Fintechs such as Transferwise and Funding Circle) currently based in the UK. London is home to 18 unicorns – more than double the number of the next closest country, Sweden, which is home to seven. The UK’s ability to develop and sustain economic growth in the financial and digital technology sectors of the economy and allied Fintech industries will hinge on a number of inter-related factors outlined below. The first factor is access to the internal (aka single) market in services. 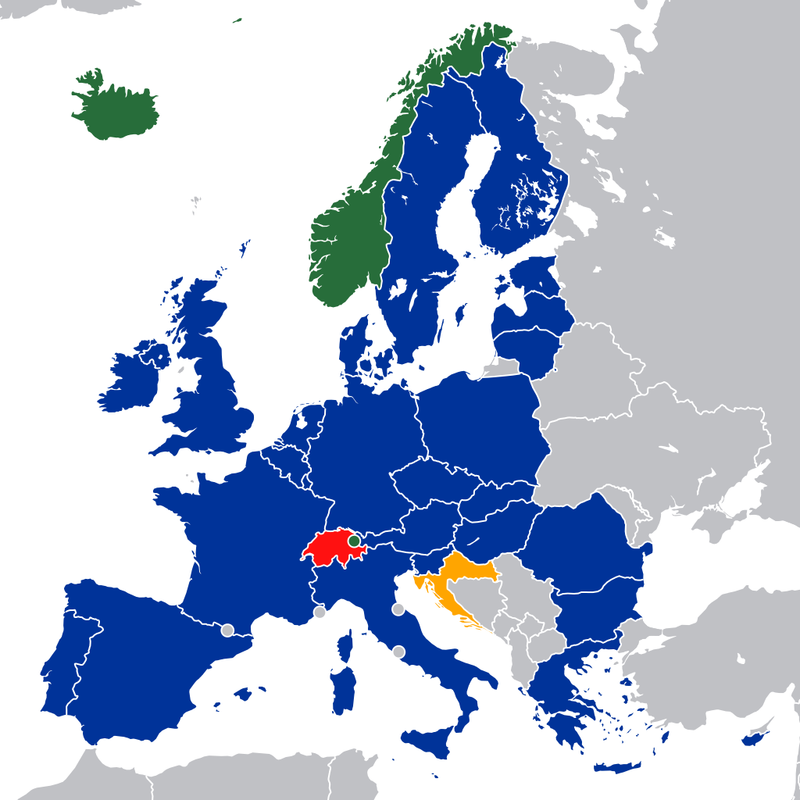 At present, once a UK-based financial services provider such as a bank or insurance company is capitalised and regulated in the UK in accordance with EU-wide ‘passporting’ rules they can provide their services in any other EU or EEA country directly or through a branch without setting up a further capitalised and regulated subsidiary, allowing them to offer their services to a population circa 500m instead of being limited to the UK population of circa 68m. On a positive note, the White paper contains a commitment by the Government to “prioritise securing the freest and most frictionless trade possible in goods and services between the UK and the EU.” Passporting rights will be lost upon exit of the single market, so if the UK does not secure ‘mutual recognition’ or ‘extended equivalency’ rights during exit negotiations then it will be classed as a ‘third country’ with the effect that UK financial services providers will have to set up a capitalised subsidiary within an EU or EEA country (as is the case with Swiss financial service providers) in order to provide services directly or through branches in the whole of the EU. If that happens then banks and financial service providers might choose to move their place of establishment and associated jobs outside the UK (between 10,000 and 232,000 are reportedly under threat), thereby negatively impacting on the UK’s economy. Another statement in the White paper that will undoubtedly concern the Digital and Fintech industries is: “We will not be seeking membership of the Single Market, but will pursue instead a new strategic partnership with the EU, including an ambitious and comprehensive Free Trade Agreement and a new customs agreement.” Opting for a ‘hard Brexit’ i.e. foregoing access to the single market will create uncertainty for the Digital and Fintech sectors – it will take time to negotiate the terms of a Free Trade Agreement and a customs union agreement. It remains to be seen whether transitional arrangements will be agreed. It is likely that digital and Fintech industries will find it difficult to secure investment if they are unable to advise potential investors of the size of the market they will be permitted operate in. If these industries find that their ability to ‘scale up’ i.e. expand their customer base in other European member states is impeded or uncertain they may decide to relocate to other EU member states, removing jobs (approximately 60,000) and a growth revenue stream from the UK’s economy – indeed many are already exploring relocation opportunities. A second factor is the ability of these industries to continue to recruit suitably skilled personnel as the UK suffers from a digital skills shortage – over 30% of the UK’s Fintech human capital drawn is from EU countries and beyond. At present, most (20.7%) are drawn from EU countries (with fewer (13.3%) being recruited from non-EU countries) because of the free movement of people within EU member states. However, in the White Paper, the Government outlined an intention to curb immigration, and in particular, to end free movement of European Union nationals, opting instead to “…design our immigration system to ensure that we are able to control the numbers of people who come here from the EU.”(p.25) Significantly, the government has not proposed a total ban on EU migration, pledging to “…understand the impacts on the different sectors of the economy and the labour market”. (p.27) It remains to be seen what steps the UK government will take to ‘control’ immigration from EU countries. Evidently, if overly burdensome (i.e. costly and time consuming) visa requirements are imposed in respect of workers from EU member states it could negatively impact on firms’ ability to recruit suitably skilled workers. If so, they may opt to relocate from the UK to EU member states where they would have greater freedom to grow their workforce to meet their agile expansion business models. To sum up: Given their economic importance, avoiding major disruption of and job losses in the financial services, digital technology and Fintech industries should be a high priority in the Government’s negotiations on leaving the European Union. Pursuing a ‘hard Brexit’ strategy that sacrifices access to the single market and freedom of movement of workers undoubtedly carries considerable economic risk. The Government will have to tread a careful path to ensure that delivering the will of the people does not lead to an economically ruinous outcome, as the electorate will be quick to complain if it does. For an in-depth critical evaluation of the various types of trade deals the UK might negotiate upon exit (with a particular focus on financial and digital services) see: Mc Cullagh, K. “Brexit: Potential Implications for Digital and ‘Fintech’ industries,” International Data Privacy Law, (2017) Vol 7, Iss.1.